We are proud to announce that Spyglass Hill Community Association has selected Tinnelly Law Group as their associations’ legal counsel. 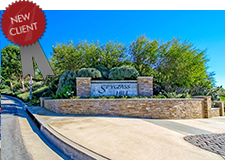 Spyglass Hill is a custom home community situated on a hill in Corona del Mar. Residents enjoy panoramic views of Newport Harbor, Catalina Island, and the Newport Beach coastline. Our HOA attorneys and staff look forward to working with Spyglass Hill’s Board and management.